Strategist, accountant and educational development expert, based in Botswana. 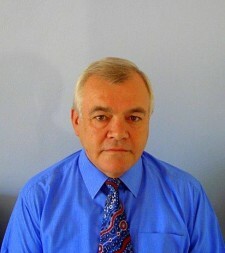 David Cropper is currently employed as a Director of Academic Affairs. He is also the academic adviser on Citizen Development Lecturer Programmes. He is a key member of the organisation’s Strategy Team as the transformation into a Business School moves at a pace. David is a member of the Education and Training Committee at the Botswana Institute of Chartered Accountants. He specialises in Business Strategy and is a passionate Educationalist. David has had a multi-faceted career during which he has been a Banker, Internal Auditor and Accountant with the Ministry of Defence, as well as a Hotelier and Chef. He has worked, lectured and consulted in over 30 countries and received the CIMA Bronze Medal for outstanding service. He served on the CIMA Southern African Regional Board from its inception in 2004 until 2010. For the last two years of this period he was Chairman of the Board. In 2012 he was elected to the newly formed CIMA African Regional Board and now serves as Chairman. David is also a member of the BICA (Botswana Institute of Chartered Accountants) Implementation Committee for the new Botswana accountancy qualification.